Sometimes our children need to go on an elimination or elemental diet, limiting the foods taken orally. Whether it is for the purpose of gut rest or whether they are restricted because you just haven’t been able to find a food that is tolerated quite yet, the fun doesn’t have to end when the fridge closes. Here are some ideas for living food-free, both in day to day life, and in times of celebration. If you have some suggestions to add, please contact us! We would love to expand the list to better assist new families! At meal times. 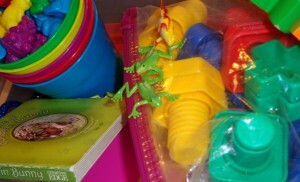 . .
Offer an activity kit for the older toddler or child that is only available at meal times. Include some table activities that the child enjoys and include enough activities to provide interesting choices for the duration of the meal. The child could help to decorate the box/case that contains the activity materials to individualize it and for an older child, he/she can help to select the activities that belong in the box. 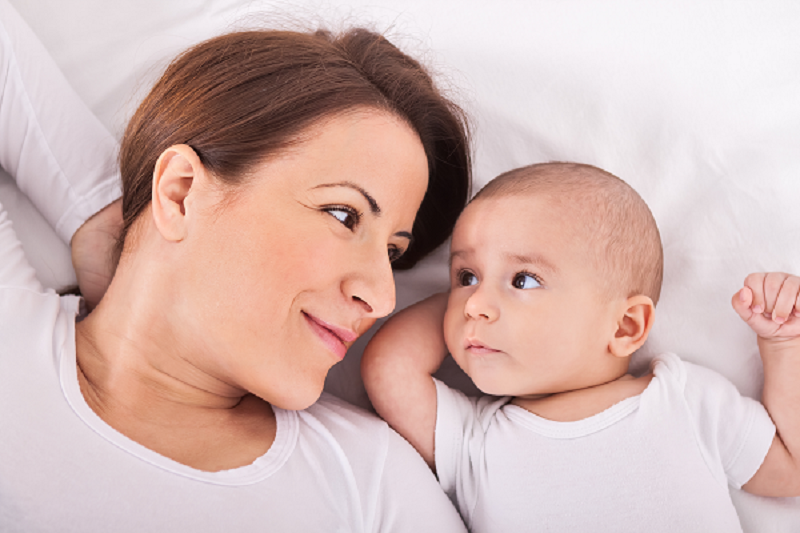 For an infant or very young toddler, having a family member occupy the child in another area or another room may be a preferred option. Some families may find their older infants enjoy supervised playing near to the family in an “exersaucer” or similar toy that is appropriate for the child’s age and stage. To provide sensory exploration/stimulation. . . 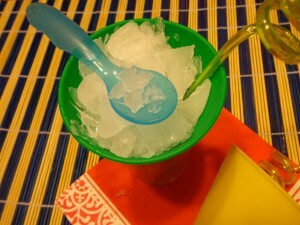 Some children are able to practice eating skills by eating crushed ice with a spoon, depending on age and stage of the child. Special tools and toys for oral stimulation are available via various online stores. Connecting with an occupational therapist specializing in feeding therapy can be helpful in tracking down these tools. At play dates. . . If going to another parent’s house, speak with this parent in advance and together, plan the activities for the play date. Not only will this help you to address the needs of your child, but it is also a great way to get to know the other parent better and perhaps learn about shared interests between your children. Food free “snacks” (assess for age and stage appropriateness dependent on your child). . . If visiting family or friends. . . Speak with the host in advance, explaining your child’s restrictions and if there are any alterations in the environment itself about which you wish to ask. Plan out the event and how you and your family will navigate. Will you consider arriving after a meal has been served to avoid the food part of an event, for instance? Planning ahead will help everyone to enjoy themselves a bit more and to feel more comfortable with the environment. Have an emergency plan ready, in case of accidental ingestion or exposure. Planning a party for the child with food restrictions. . . just needs a bit of creativity and invention. Ensure that all family and friends attending the party are aware that this is a food-free event. This can be nicely included in the invitation. Plan specific activities, especially if there will be children present. Depending on age and stage of those present, outdoor games (depending on weather), group art projects, and simple dancing to music can be fun ways to celebrate without needing to have food present. 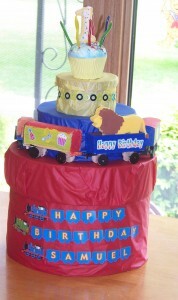 A “cake” for the child with food restrictions. . . can be made out of toys, fabric, craft materials, or other options. The only limits are creativity! See the image to the right as an example of an adorable cake for a one year old, and read more to inspire you on: Food Free Birthday Celebrations!